The ability to sleep is a learned skill, not a natural part of a child’s development. Another stand-out fact: one in four children under five has some form of sleep problem. However, in case of behavorial sleep problems, there are not many professionals in the field you can turn to for help besides your pediatrician or ‘consultatiebureau’ who may not carry the specific knowledge. My goal, as the first Dutch child sleep consultant, is to coach as many parents as possible throughout Amsterdam, The Netherlands and globally. I’m looking to provide them with the necessary support to help their child go to sleep, fall back to sleep and stay asleep. My aim is to empower parents and help them feel in control again, rested and as stress-free as possible – to give parents their lives back. You are feeling exhausted and feel you need change now. SO IF ANY OF THE ABOVE STRIKES A CHORD, PLEASE FEEL FREE TO PICK-UP THE PHONE OR DROP ME A LINE. It’s a recognition that no child is alike and no parenting values or techniques are the same. The Gentle Sleep Coaching method is adaptable and can be successfully implemented into any family’s life. Many parents have difficulty following through with a cry-it-out technique that they fear may damage their child emotionally or fill them with so much guilt they break under the pressure. 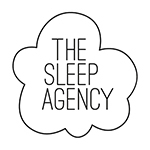 The Gentle Sleep Coaching method provides proven, achievable and gentle sleep solutions to parents across the globe. The approach is not a one-size-fits-all method but an achievable, step-by-step method that has a 95% success rate when – integrally – the child is healthy and parents are consistent. Parents can be loving and responsive and at the same time give their child the room to master this essential skill of putting themselves to sleep. If you’re at your wits end and ready for a change, I’m here to guide you through the process and help you reclaim your life. I assess sleeping and feeding patterns, family dynamics and desired outcomes. During an in-home consultation, we meet in person. We will closely look at the age and developmental stage of your child and your ultimate goals. Based on this, we design a detailed customized sleep plan for your child. I will support and coach you through the process from beginning to end – covering everything from night sleeping to naps.